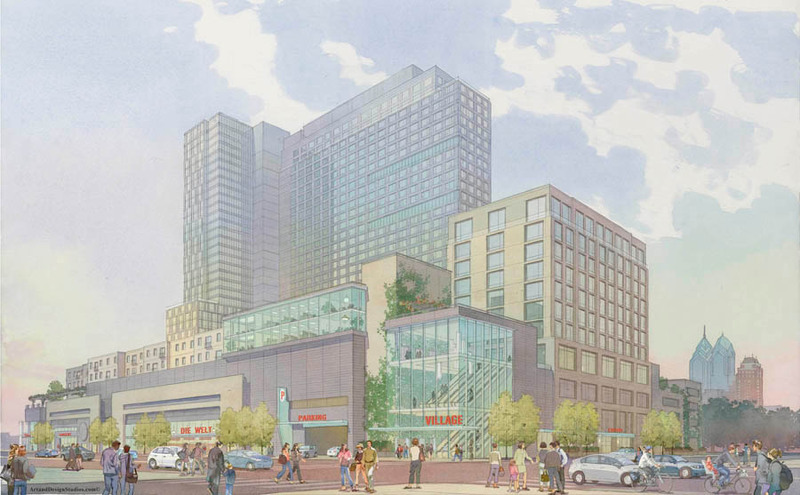 Rendering of 1001 South Broad Street mixed-use development. Architectural watercolor technique. Architect - Coper Linder Architects. Developer - Tower Investments, Philadelphia, PA.